Zircon filters have been on high demand Lee has expanded their options and have a separate swatch book and also packs. Cool LED, Warm LED, & LED Correction. Zircon offers longer life for LED lighting and has been shown to retain at least 80% of their effectiveness after as much as eight months of continuous use on LED downlighters. 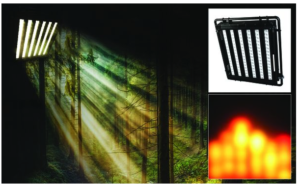 Manufactured using a 180-micron material they are more than double the thickness of a normal lighting filter. They come in rolls of 10ft. x 4ft., and Pre-cut sheets in 24” x 24”. There were some interesting fixtures of note in the Ushio / Zylight stand at LDI. 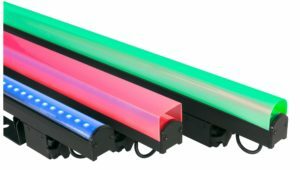 The NanoPix Slim 1200 is just over three feet long, the NanoPix Slim features 1,200 packed LEDs to produce extremely uniform light in a wide range of colors. 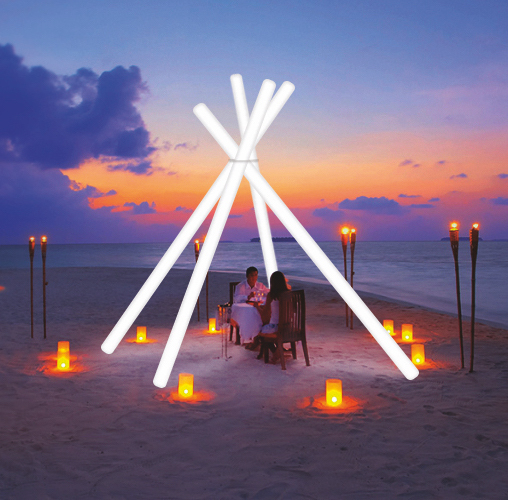 It has a high CRI of about 93, adjustable color temperature from 2700-9000K, 7,000-lumen output. Flicker-free operation, and 16-bit resolution dimming. 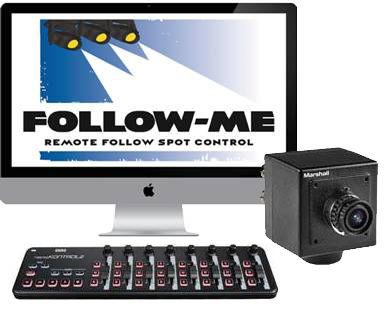 Supports DMX and features an integrated BCD rotary switch for brightness and color control. Optional floor stands are available. NanoPix Slim FR 1440 smallest floorlight ramp less than 2.5″ high with R/G/B/WW/CW 2700–9000 K. It has a slim design and it has more than 1.400 LED’s makes the NanoPix Slim FR1440 unbeatable as a footlight on the forestage and doesn’t block the audience view, offering the same attributes of the 1200. It has an adjustable shutter blade can limit the beam angle on top. There is a built-in programmable safety light function, during a “black out” a few of the red, blue or green LED’s still remain on at a low level, invisible for the audience to performers or stage crew have some light on stage. NanoPix 1440HP/2880HP battens are ideal replacements for conventional RGBW fluorescent battens in theater, event, and studio lighting. They deliver a CRI of more than 93, adjustable color temperature from 2700-9000K, 20 millisecond reaction time, and 16,000 lumen output. 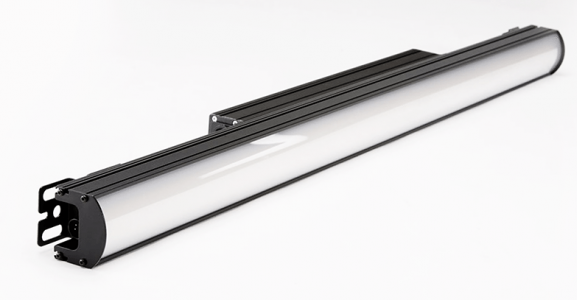 Based on the length of the fixture, it has a linear housing of 1,440 or 2,880 LEDs to create uniform light distribution with a 150-degree beam angle and a wide range of colors. 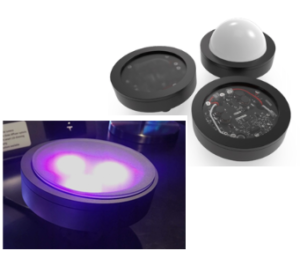 The housing includes an integrated OLED display for setting color and brightness, as well as a sensor-controlled cooling system and DMX control. RETRO-Passive fixtures that go from 0-100% phase dimmable (forward and back) variable wattage LED 2700K-5000K, 80-97 CRI engine designed for SCR, TRIAC, or IGBT dimmers. It has been designed with a fanless light engine is a direct replacement of existing incandescent lamps in a wide range of applications. Specific socket adapters enable simple installation which can be as easy as changing a light bulb in most applications. They come in E26, E39, PAR56, PAR64 bases, and custom sizes, mounts, and for all applications. The Retro line is a CSA listed, Energy Star 2.0 retrofit kit that quickly transforms existing inefficient incandescent fixtures into energy efficient LED fixtures. The patented technology allows the fixture to smoothly dim from 0-100% utilizing existing dimming technology. Retrofit kits are available with a variety of options for both recessed and pendant style fixtures. Installation is as easy, and the LED technology creates even fields and delivers consistent color. The Tango is the latest addition to the line of followspots. The Tango is very lightweight that can be carried by one person. The LDR’s new long-throw fixture comes in 1200, 1500, or 2000 MSR uses the Philips Fast Fit (FF) lamp. The fast fit lamp is a rear or side-loaded system that allows the fast replacement of the lamp with no tools required. Accessories include the iris diaphragm and seven-disc color changer, plus HD tripod stand with bearing mount for stable and smooth operation. Great for schools, universities, professional theater, touring and houses of worship. 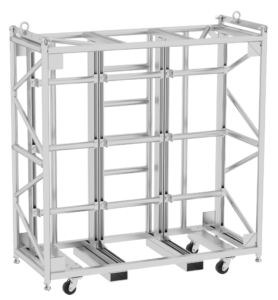 Lex Products continues to showcase their PCS TRIO installation line. 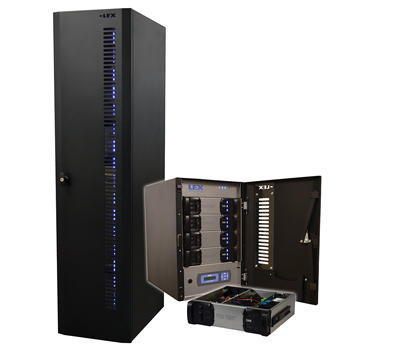 The PCS Trio comes in 4-, 8-, and 16- module cabinets, and can use any combination of their 6 dimmer/relay card modules. Each module hold’s up to 3 circuits of dimmed power or relay control. 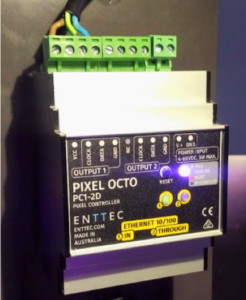 The PCS Trio system enables users to power a wide range of devices in a single panel, and also integrates seamlessly with other power control and management products in the PCS family. PCS Trio is available in both installation and touring models. 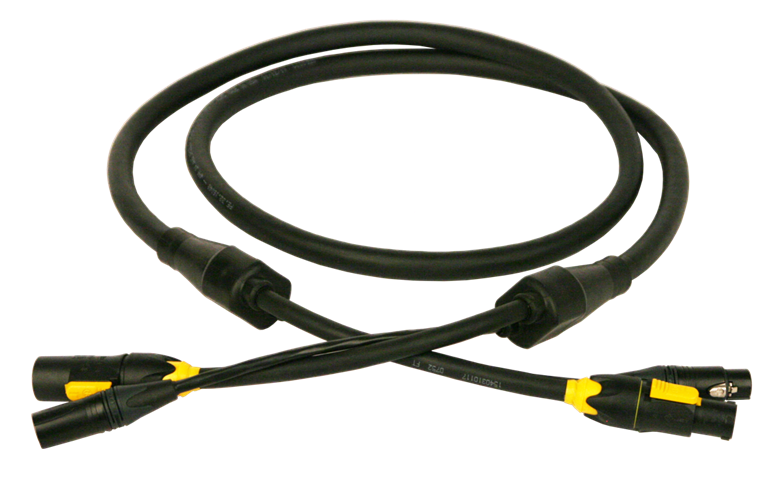 Lex also continues to improve their PowerData Cable line, featuring power and data in one insulated sleeve. 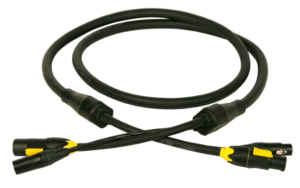 Any combination of power connectors (Edison, Stage Pin, Powercon, TrueCon1) and 5 pin DMX in one piece helps cut down on running multiple cables in crowded locations. Cineo introduced the Lightblade, created in partnership with NBCUniversal. 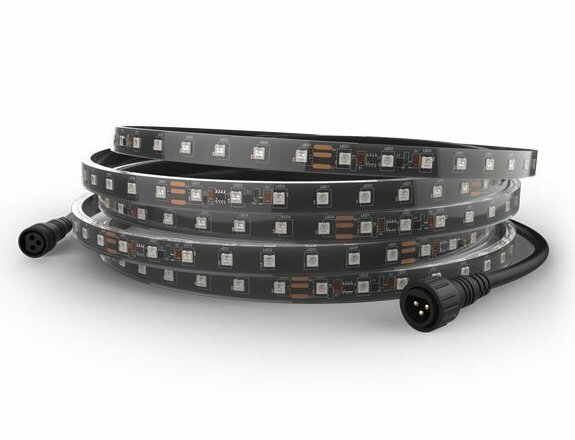 Available in 24” and 48” lengths, these 2.5” wide LED fixtures offer a thin and low profile footprint for even the tightest nooks and corners of your TV and Movie sets. 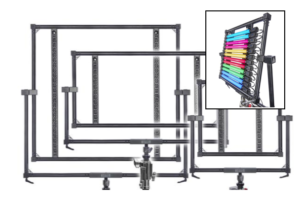 The modular, integrated mounting system allows gaffers and electricians to stack several lightblades together, offering as a single integrated light source, or independently for a multitude of diverse effects. 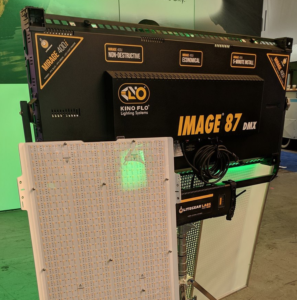 The new Lightblade LB800 is Cineo/NBCUniversals new 2’x4’ aperture panel type fixture, offering an incredible 50,000 lumens with an 800 watts worth of LED inside. 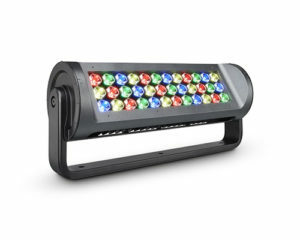 With White-phosphor LEDs and Phosphor-converted saturated RGB LEDs deliver consistent color across a broad spectrum, and feature both HIS and RGB control modes. The LB800 can also be controlled in up to 10 independent zones via DMX, with configurability via RDM. New users won’t be disappointed, as the LB800 features the same intuitive graphic user interface for control. 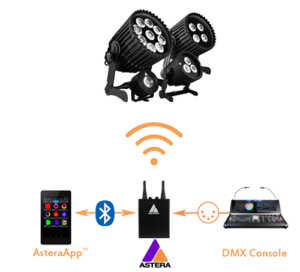 RC4 wireless, based in Raleigh NC, manufactures a comprehensive line of Wireless DMX and LED dimming products. 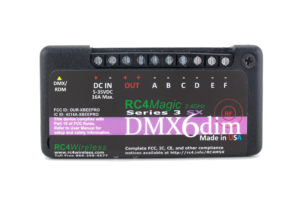 Debuting at LDI this year is the RC4 Wireless 6 channel dimmer-the only 6 channel wireless LED product on the LDI show floor. Designers and Specifiers now have an even more reliable way of controlling 5 and 6 channel LED tape (or 2-RGB tapes from one dimmer!). 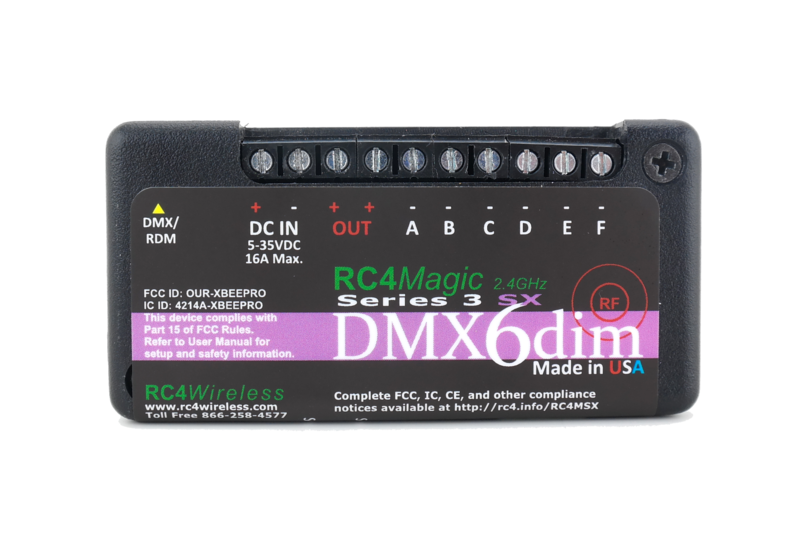 The RC4 Magic Series 3 line operates in the 2.4GHz range and is found across theaters, venues, buildings, television and movie studios, and permanent installations across the world, and the RC4Magic DMX6dim-500 is the only 6-channel Wireless product in the market. Users in the USA, Canada, Brazil, Australia and New Zealand fear not! 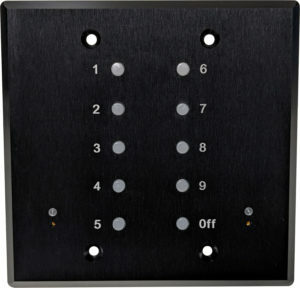 RC4 also offers their 6 channel wireless dimmer in the 900MHz range. Airstar America continues to manufacture high quality small-medium sized lighting balloons. 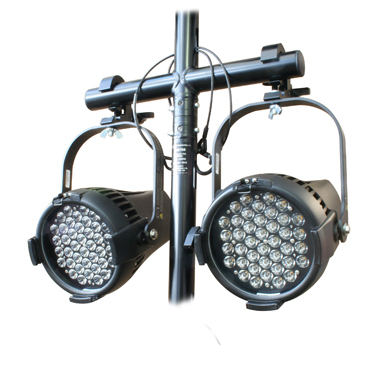 Across three different departments (Event, Film, Safety) they provide LED, Tungsten, and HMI sources for a variety of different shapes and sizes. Debuting this year are the new NEO line. 16.4’ Long, 8.4” Diameter lighting tubes. Available in both Cool White and RGBW, they can be connected together to create complex shapes, or used separately, creating visual lines that radiate light. 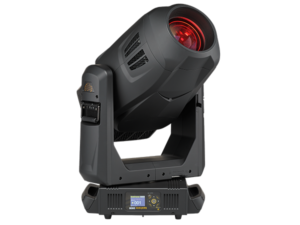 GLP returned to LDI this year to continue showing off their impressive X4 fixture family. Debuting this year are several new products. In the Moving Light family, the Impression E350 and S350 are supercharged with a white LED engine and baseless design. Both fixtures are extremely quiet, and the S350 features a 90+ CRI and framing shutter system. New to the GLP line at LDI this year are the KNV LED system. 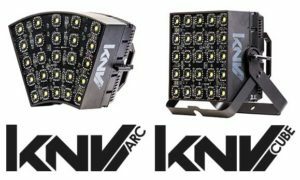 The KNV Cube and KNV Arc both feature a 5×5 grid of LED pixels. 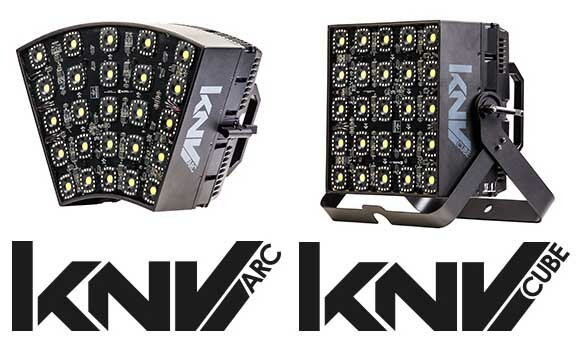 The KNV family is a multi-use Strobe/Audience Blinder and Pixel fixture. Both fixtures fit together seamlessly and modularly, and both fixtures have a 5×5 LED grid so continuity of light is guaranteed. 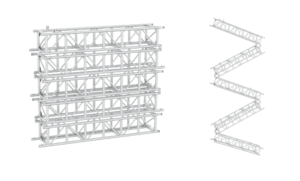 Also featured was the Cosmic truss Helix style truss-featuring a double helix design, the helix isn’t just decorative-it can be used for both structural and aesthetic purposes. Now consolidated into one unit Strand and VariLite were showing as one company. New for Strand Lighting, the C21 processor revamp with better electronics, a new onboard RJ45 connector, no longer requiring a separate plugin location, USB data slot, updated menu and encoder wheel access to the processor menu. Also for Strand the SPX LED, warm white LED profile spotlight launched. Designed to replace your conventional tungsten fixtures, this SPX is dimmable either via DMX, or your standard forward phase dimmer. 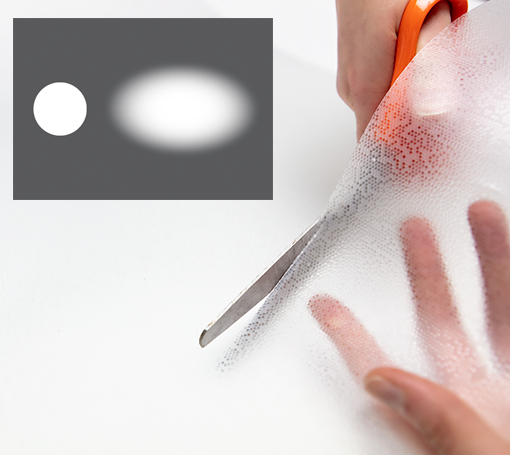 It provides a smooth step-less fade right down to zero. The output is similar to a standard 575-watt lamp. VariLite was showing the new VL10 BeamWash fixture, the first lighting fixture to use the Philips 25R platinum 550W lamp. 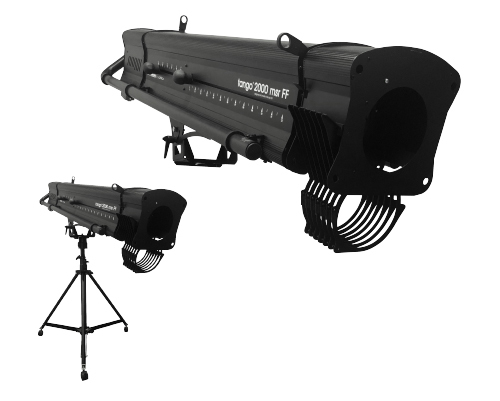 The VL 10 BeamWash can produce 28,000 lumens of output and ranges from a 2.2 to 48-degree zoom. With Dual overlaying prisms, an eight-slot rotating gobo wheel, an aperture wheel featuring 12 designs, along with the new VL*FX glass animation wheel make this a powerful addition to your lighting arsenal. 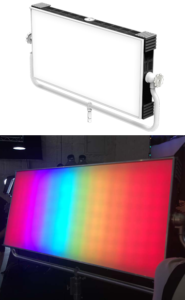 Color Kinetics has revamped the Reach product line to the ReachElite exterior long throw LED luminaire, available in three models the 100, 200 and 300 with a native beam angle of 2.6°, enabling the fixture to throw concentrated light with a high punch to distances up to 1,000 ft.
Also new this year is the redesign of the FlexElite, all the major elements from the form factor to the internal electronics. 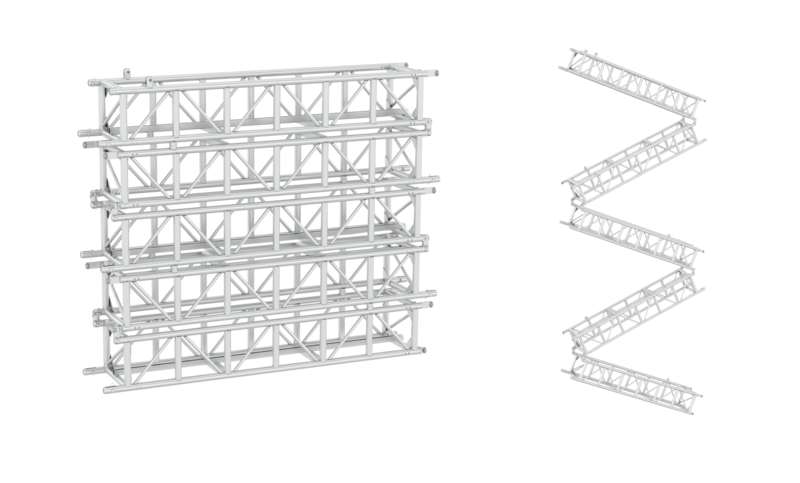 Sections click together and the modular design lets you create the exact configuration of the nodes to the exact needs of your project. 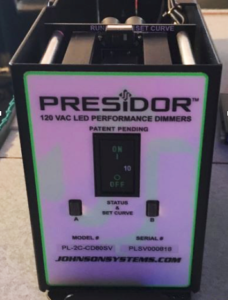 Johnson Systems launched a new LED Dimmer as part of the upcoming Presidor line of control products. The LED dimmer is designed to be used with CD-2000 SV or CD-3000-SV retrofit processors and allows the user to set the dimmer curve for the LED to be controlled, a very handy feature in today’s LED house light fixture market. 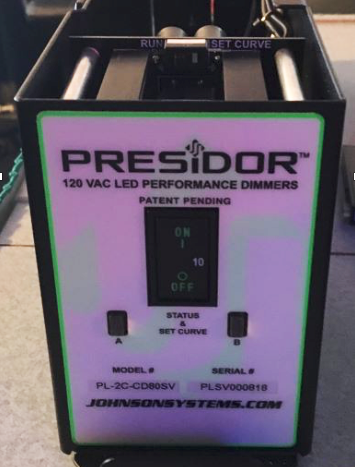 Coming in 2019 is a new Presidor retrofit processor and house light control station. Hippotizer 4.4 has a new release with new features; these include Crossfade on layer and VideoMapper on layer, making show programming faster and easier. Other new features released include; Key on layer, frame-based work flow, 2nd effects Engine on the mix, Stream Deck support, UV editor in SHAPE and visibility controller in SHAPE. 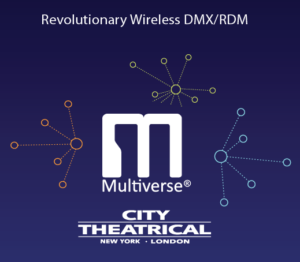 Just in time for this year’s show, City Theatrical released their new Multiverse. With the growing issues with wireless frequencies (and several other daily challenges), they have answered with the Multiverse Module. The goal was more data using less radio energy, and they succeeded. This module offers flexibility, scalability, easy use, 2.4GHz, and 900MHz frequencies, and backward compatibility. Depending on your needs/ multiverse components, you can go from one universe of control to ten universes. The Multiverse product line includes the Multiverse SHoW Baby, Multiverse Node, Multiverse Transmitter, and Multiverse Gateway. 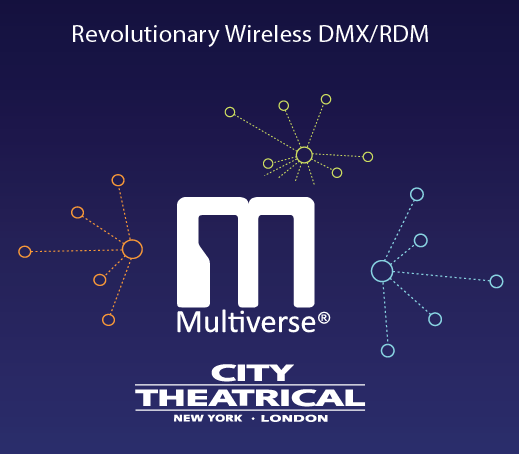 Worth noting is the Multiverse Transmitter and Multiverse Gateway have the DMXcat onboard to allow for user setup. And if wireless control advancements weren’t enough, the QolorFlex line now has a new addition with the NuNeon. 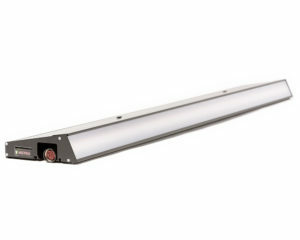 This is a sealed LED linear product that easily replaces neon lighting with is extreme flexibility and safety. This is ETL listed, RGB color mixing, and operates on 24VDC. It works with a variety of the QolorFLEX dimmers and power supplies and can easily installed with accessories specifically for the NuNeon. The outdoor rating tops off the functionality making this a nice solution to a number of design needs. As always, multiple machines were out and on display so that you could actually see the different formulas in use. The key displays in the booth were the G300 Smart and the MVS Smart. On the update to this popular line is the fact that you can eliminate the separate remote. 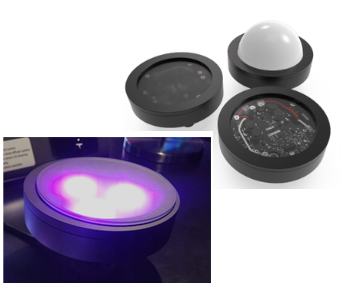 Both Smart fixtures now feature an onboard, redesigned control panel with an easy to read backlit display for improved user interaction. 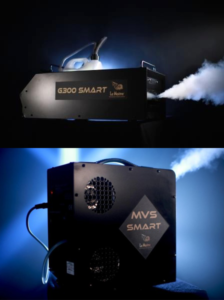 The G300 Smart, of course, keeps the massive smoke output. 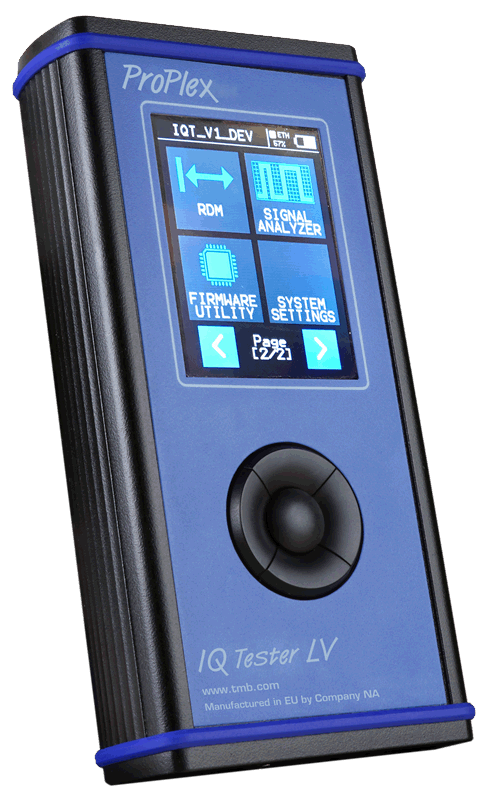 The newer interaction capabilities feature DMX in and out, 0-10V in, fluid level sensing, wireless/LAN connectivity. This is user programmable for duration, interval, and pre-chill time for FreezeFog Pro triggering. The connectivity feature offers monitoring and control locally or over the internet, via Le Maitre’s evolving Machine Interface Portal. The MVS Smart features onboard DMX 512 and sACN support. This fixture also offers Wifi/Ethernet connectivity for setup, control, monitoring, and diagnostics. The fluid level sensing is available on this as an option. This year Lycian had a range of options available to see up close and personal. They brought some of the long-standing favorites including the ClubSpot 7.5, Zot LED, Zot 1.5, SuperStar 1.5, 1290 2K Xenon, and the 1295 ELT with the 4K lamp. In addition to the long-standing favorites they also had 2 brand new options that will soon be available on display: the SuperStar LED and the SuperStar 17C. 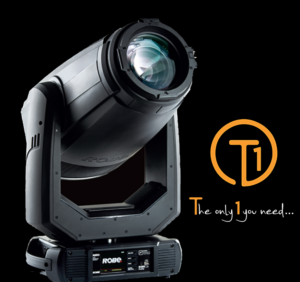 The SuperStar LED is a 600w LED follow spot with the options that our industry needs. 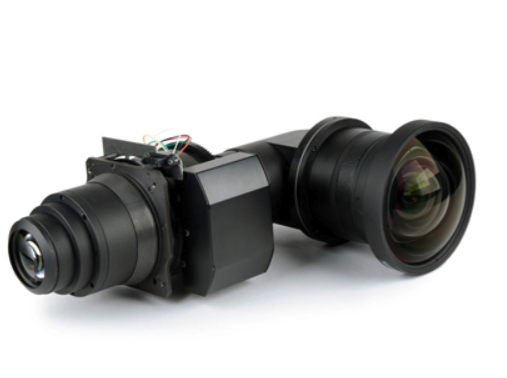 It offers a 7-15-degree beam angle, an internal electronic flicker-free power supply, trombone for variable focal optics, ultra-smooth mechanical dimmer, fine focus to soften and harden the edge, an internal 6-color boomerang, and a quiet cooling fan. The SuperStar LED offers brilliance and a clean beam all while running comfortably cool. The SuperStar 17C, like the others in the SuperStar line, offers optics with a well thought out design and intelligently clustered controls making the follow spot operators show control more streamlined. Optically, the 17C offers a faceted dichroic glass reflector, single lever variable focal optics, rapid focus mechanism, dichroic and frost rings, and the Lycian produced nichrome iris. 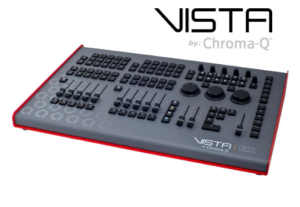 Other features include an ergonomic control cluster with iris and fader and an internal 6 color, self-canceling boomerang for optimal balance. This fixture is supplied with the folding 3 leg base with locking casters and integrated leveling jacks. The easy access to the followspot interior is also worthy of note making the maintenance much less of a headache. The SK 6212 is a mini-bodypack transmitter for the Digital 6000 wireless microphone system. With rounded corners and edges, the mini-bodypack is 63 x 47 x 20 millimeters in size and a weight of approx. 112g including battery. It includes a rechargeable battery. 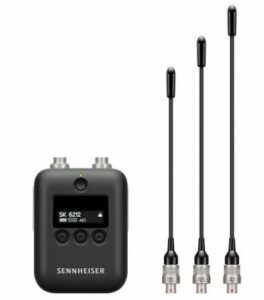 The MKE Essential Omni is Sennheiser’s mid-range small condenser microphone. The newly developed KE 4 capsule ensures high sound quality and warm nuances. It can be attached to head or body and features diverse accessories for every type of attachment. Ships with 1 MKE Essential Omni, 1 Foam Windscreen, and 1 Clamp. 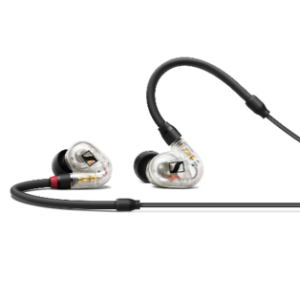 The IE 40 Pro is a dynamic single-driver in-ear monitoring headphone. 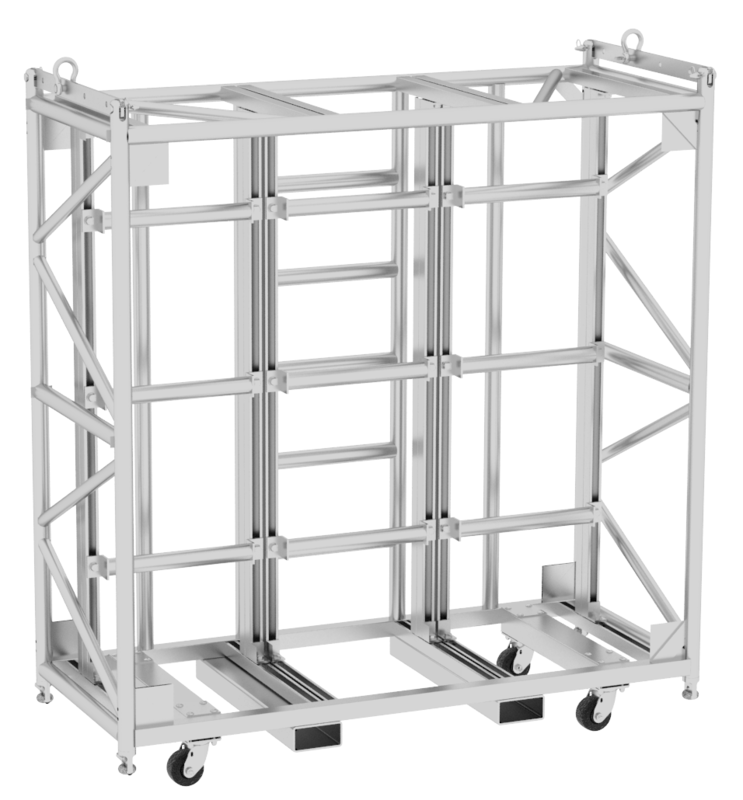 Secure fit thanks to ergonomic design and a robust construction suitable for stage use. 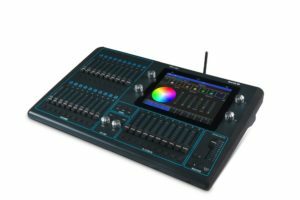 Chamsys, a sister company to Chauvet Professional unveiled their new Quick Q series control desks. Unlike the previous Chamsys consoles, these consoles are designed for easy use, easy setup and high affordability. The Quick Q comes in three sizes: Quick Q 10, Quick Q 20, and Quick Q 30. The Quick Q10 single universe console comes with a 9.7” touchscreen, 5pin XLR and a network port for DMX communication, 20 fixture faders, two encoders for Hue/Saturation control, 2 USB ports, 1/8” jack for an audio interface, a single Grandmaster, two master faders and a cue stack fader. Other features include a full-color wheel, communication over sACN, ArtNet, and Pathport. 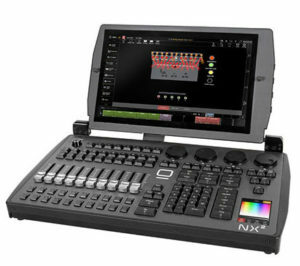 The console does allow one external touchscreen monitor and includes visualizer software for easy visualization of programming. 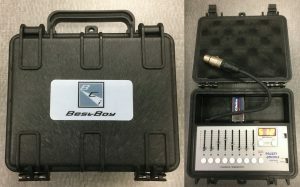 This console also allows the ability to connect any smartphone or tablet over WiFi for handheld operation. The Quick Q20 is similar to the 10, however with the addition of a second universe, 4 attribute encoders, and 10 multiple function playbacks, it is designed more for the use of moving light programming. Finally, the Quick Q30 tops off the line with a 4 universe, 3 5Pin XLR ports, 40 fixture faders, a fader for intensity control, and full MIDI and MIDI timecode support. All three of these consoles have a scheduled availability of December 2018. 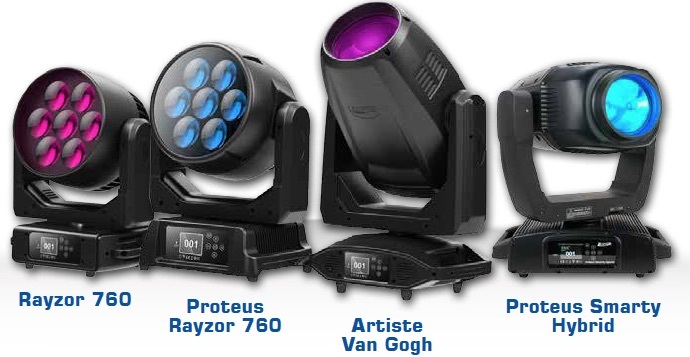 Chauvet Professional introduced new IP65 related fixtures. 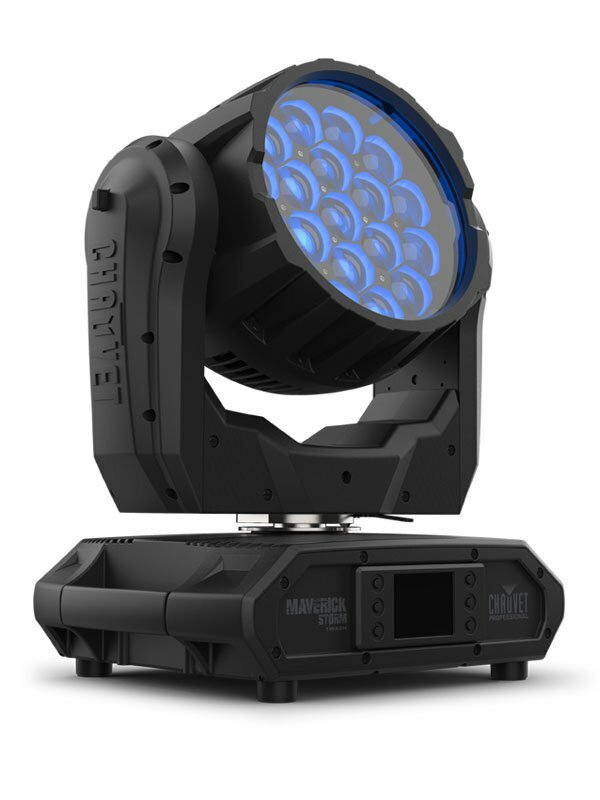 The Maverick Storm 1 Wash presents itself with a blasting output of 6,000 lumens, which makes it brighter than the Rogue 2 fixture. 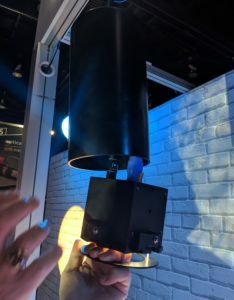 The RGBW fixture with its stunning aerial effects, effective pixel mapping feature, and a large variety of gobos makes it a great fixture for outdoor events. 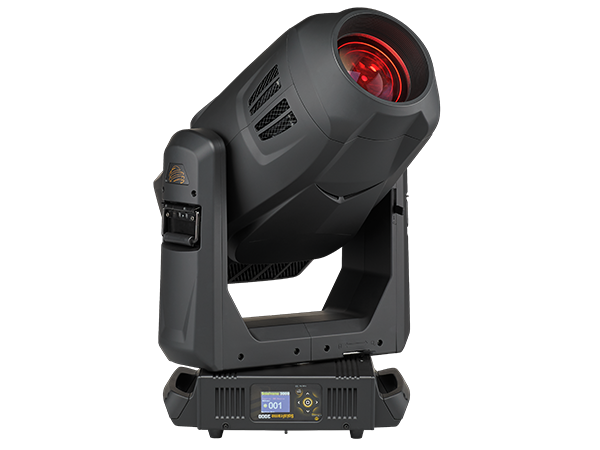 With an 11 degree to 42-degree zoom, it is sure to successfully light up any size event or show. Continuing with the IP65 fixtures, Chauvet Professional has also released the WELL Pad; a completely wireless, battery-powered up-light. This RGBA fixture communicated over W-DMX and easily stores in a drop-in case for easy recharging—6 hours to recharge for 9 hours of use at full output. 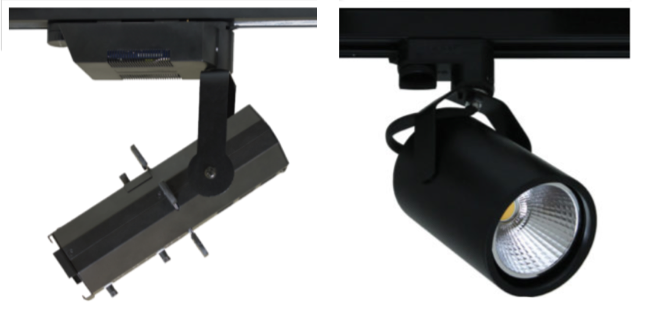 A magnetic diffuser included with the fixture increases the beam angle from 22 degrees to 27 degrees. These fixtures like the previous WELL products are sold in multiples—4 units with the charging case. With the increasing use of LED tape, Chauvet Professional has released their IP67 rated version called the EPIX Flex 20. This 5-meter strip operates with the EPIX Flex Drive, which can control up to 8 EPIX Flex strips. With the additional ability to pixel-map, this highly flexible and extremely customizable strip is sure to be a competitor in the market. It includes 10 sets of mounting brackets and screws and a termination kit. 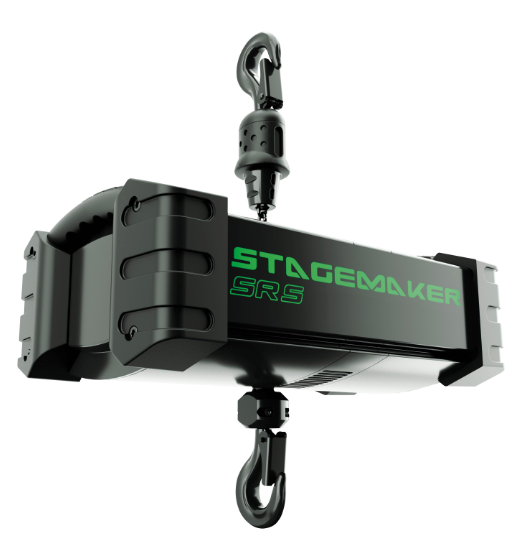 From set up to show time, the Stagemaker SR motor brings you world-class performance. During set up, the motor configuration can be switched easily from body-up to body-down just by reversing over the chain bag. Consistent speeds with or without load and the quietest operating sound levels available (down to 60 dB) mean no distractions during performances. SSRC’s SwitchSuper™ Relay Panel is a unique, DMXControlled relay device designed for permanent installations. Packed with features in a familiar enclosure, the device allows for the switching of up to eighty-four (84), individually controlled DMXaddressable relays, presenting itself as a perfect pairing with modern LED performance lighting fixtures and switched performance loads. 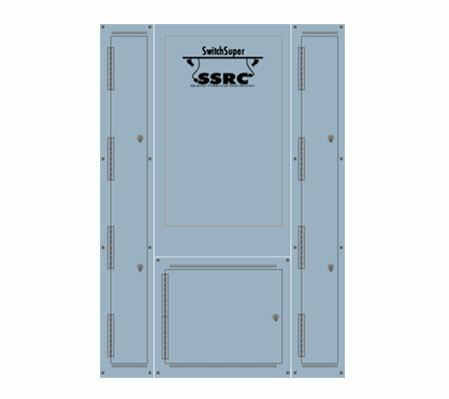 The SwitchSuper’s robust electronics cards were designed from the ground up to endure the rigors of production environments. FreeSpeak II is a five-channel, full-duplex wireless intercom solution, ideal for large-scale, complex designs or specialized applications–requiring team members to be untethered and talking in independent channels of communication. After years of field experience and refinement, FreeSpeak II has become the de facto standard for wireless intercom operation in the 1.9GHz and 2.4GHz band across various markets. The exceptional RF performance and reliable connections across the system give users the peace of mind they need for staying connected at every major event, programming, stage performance, critical or mass area operation. The Relevé Spot from ETC brings the color quality, control, and consistency of the ETC LED product lines to the automated lighting world. 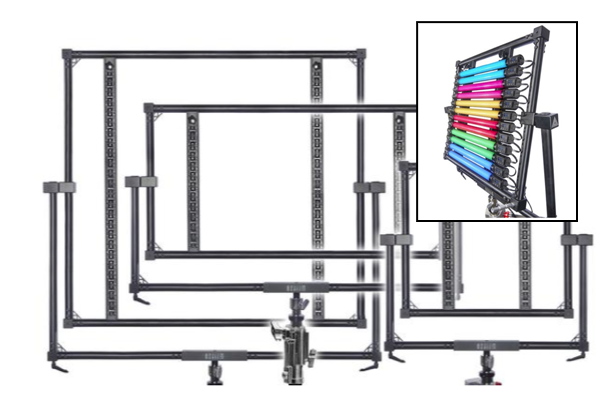 Relevé builds on the legendary color control of ETC’s LED products and provides a reliable, full-featured automated fixture of the highest quality. If you have an under-utilized space that is crying out to be turned into something amazing, ETC has a product to help you do just that. Prodigy FlyPipe is a compact, budget-friendly, zero fleet, self-climbing hoist that requires minimal structural support. This means you can add lighting, sound systems, projection, and other theatrical elements to spaces previously overlooked. Combine this with ColorSource raceway and you have a complete and diverse package. The SolaFrame 3000 combines unprecedented light output from its 1000 watt Ultra-Bright White LED engine with a limitless palette of effects and color possibilities. Boasting more than 37,000 lumen output, the SolaFrame 3000 is the first automated LED luminaire to rival and even exceed the output of the most powerful arc lamp fixtures. The fixture is also available in a Hi-Fidelity version with incredibly accurate color rendering. Also on display was the upcoming TurboRay Effect and wash fixture. 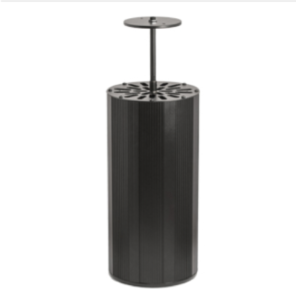 This dynamic fixture is perfect eye candy for multiple applications. Dr. DMX has long been the go-to guy for all things DMX. His products are used industry wide for testing and stable reproduction of DMX Signals. But now we can also turn to the team at Doug Fleenor Design for all of our sACN & Artnet needs. 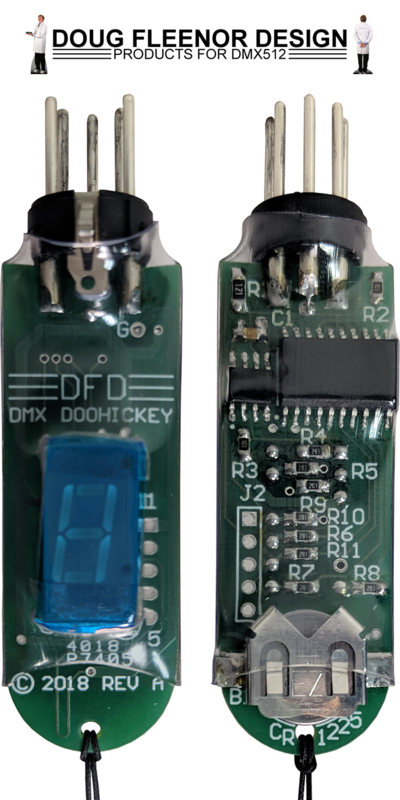 New for this year is the DMX doohickey – the name is the only thing funny about it. 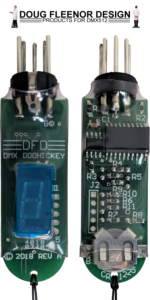 This tiny device is designed to detect the address on channel 512 of a DMX universe. With hundreds of DMX universes available in sACN range people are beginning to identify them by parking channel 512 at the same value as the universe they are using. (universe #1 = channel 512 @1%) The DMX doohickey quickly identifies that DMX universe. 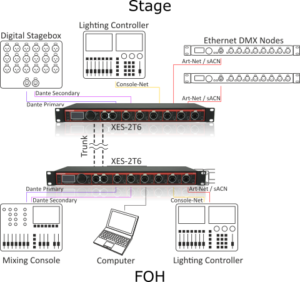 Preset 10 Ethernet is a new 10-button station for Snapshot Capture and Architectural Playback of up to four (4) universes of DMX. These universes are collected from the sACN stream via RJ-45 with support for POE switches. Multiple stations may operate on the same network. Also new for this year is the 8 Channel Ethernet to Analog Interface. This device will accept sACN or ArtNet protocols and convert them into 0-10V outputs for control of analog equipment and lighting. Another product that has made the jump from DMX to Ethernet-based protocols is the famous 1 Channel Relay Pack. This product is used to quickly control the power to simple devices such as fans, hazers, projectors, practicals, and non-DMX products. The team at CAST Software has been working on Black Trax for 10 years and their efforts have really paid off. The new Black Trax server is loaded with features that can be used in every production environment. 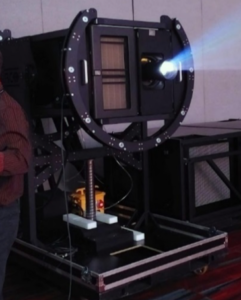 Black Trax uses motion capture cameras to detect light pulses from tiny infrared beacons. The Black Trax Server uses these pulses to calculate the exact location of the subject in a 3D environment. This information can then be transmitted to all kinds of external devices such as: moving lights, audio systems, Pan Tilt Zoom Cameras, gaming consoles, and media servers. The end result is the ability to seamlessly incorporate all of these products into one spectacular high tech performance. Also new for this year is OmniCal. Omnical is a system of proprietary cameras that allow end users to calibrate all of the projectors to their corresponding projection surfaces in mere moments instead of minutes or hours. Robe introduced the T1 profile fixture this year at LDI. The new revolutionary MSL™ (Multi-Spectral Light) LED engine provides an output reaching 11,000 lumens. Using CMY color control and DataSwatch™ filters containing a selection of pre-programmed colors and a wide-ranging 2700K to 8000K CCT control, all variations of color are possible. In addition, the high CRI of > 93 provides natural skin tones. Dimming is achieved using a super smooth Robe 18-bit dimming system. 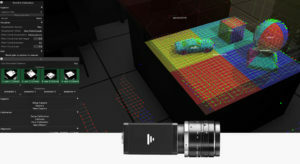 Robe has included a plus and minus green channel and C-pulse special flicker-free management for all vision systems such as HD and UHD cameras to make it a natural choice for Broadcast Applications. All this combined with a crisp framing shutter system, full zoom range of 10° to 45°, two variable frosts, specially designed breakup and aerial gobos, as well as an animation wheel and prism make it an excellent fixture for all applications. Titan Tube was specially designed for the Film, Broadcasting and Cinema industries. 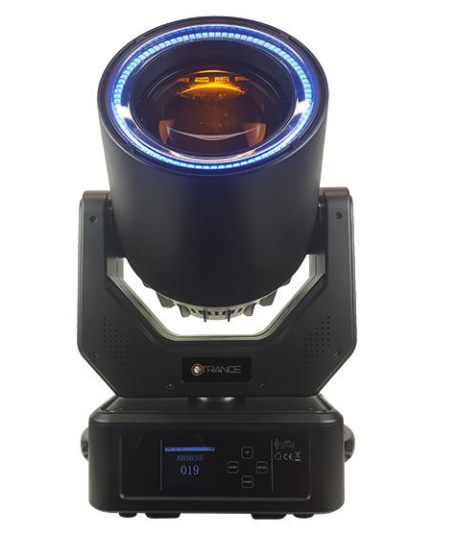 Optimized for an ultra-high TLCI, a very high CRI and peak brightness, colors as well as Hue, Saturation and Intensity can be set directly on the tube. 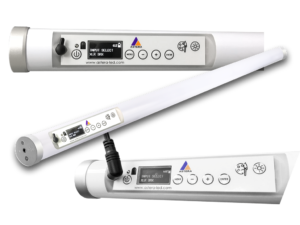 The Titan Tube accepts both wireless and wired DMX via a special power/data combination cable. Each Titan Tube has 16 individually controllable pixels. LED emitters offer a range of Tunable White from 1,750K to 20,000K. Within that range, users will find Ultra High Color Rendering with a TLCI =96, CRI =96, CRI Re=90 from 3200K to 6500K. A display on the back provides access to DMX setup, colors, hue, saturation, and intensity control. Mirage 400i – A VFX-oriented fixture that focuses on producing high-quality Hybrid and Blue/Green Screen light. 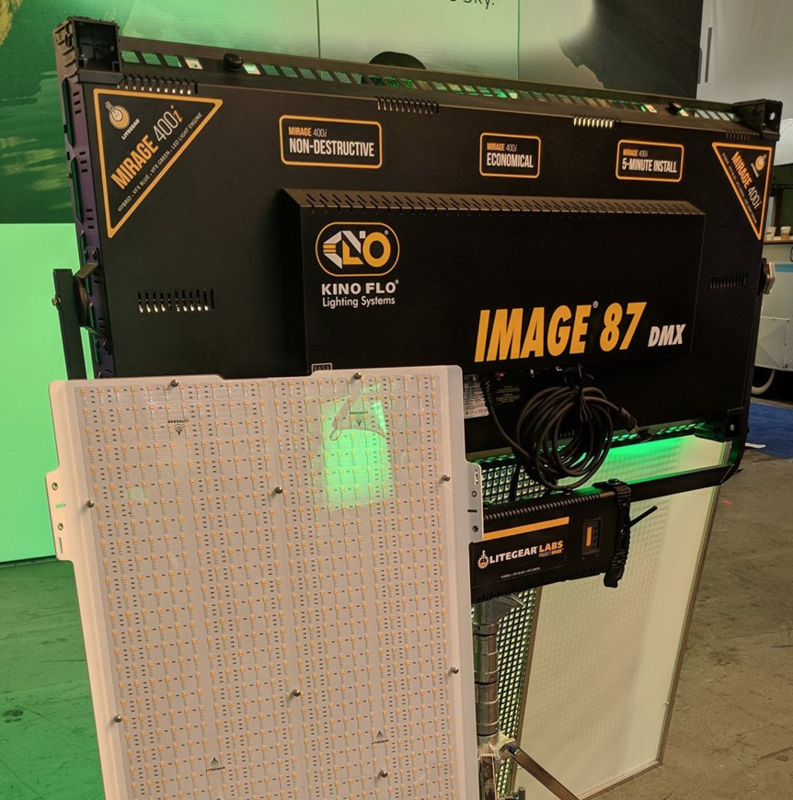 It is a retrofit to existing Kino Flo® Image 80/85/87 fixtures in which a flat panel with an array of tungsten, daylight, green, and blue LEDs is affixed to an Image 80/85/87 housing using four thumb screws. The Mirage Hybrid output benefits from the addition of the blue and green emitters in that Planckian Hybrid output can be achieved, allowing the output to follow the Planckian curve from approximately 2600K to 11000K. Mirage is controlled by one of LiteGear’s most advanced dimming controls to date, and the entire Mirage system – assembled completely and left intact – fits perfectly into existing Image 80 cases. 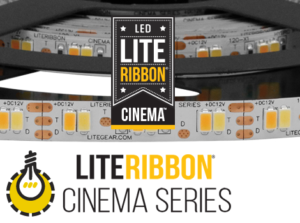 The new LiteGear Cinema Series of LED LiteRibbon is an applied phosphor LED. With staggering CRI and full-spectrum output, the Cinema Series is 40% brighter than the previous VHO Pro LiteRibbon. 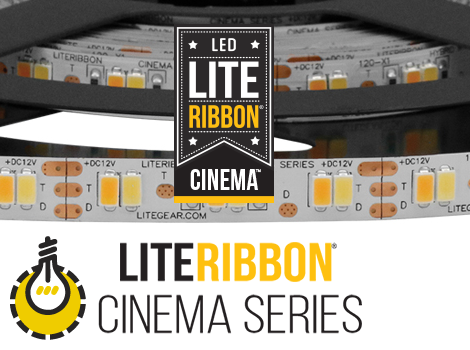 This all-new LiteRibbon proudly joins the LiteGear Cinema family of unified color-space products including LiteMat S2, LiteMat+ Plus, and LiteTile+ Plus. 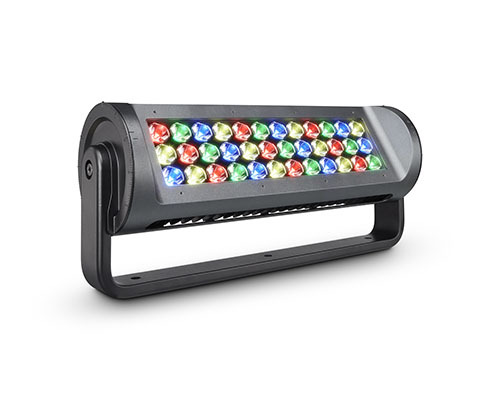 Studio Series LiteRibbon – The new LiteGear Studio Series of LED LiteRibbon is an affordable, color-correct, studio-grade material designed for high volume installations across multiple departments. This readily available LED lighting solution guarantees a matching color space and rock-solid reliability from the brand you can trust. TMB has sure been busy and had a wide-array of new things to show at LDI. Their FloppyFlex new silicone version – 24V professional grade, flexible LED neon! Higher quality! Longer life! and now a 5 year warranty. FloppyFlex is the perfect replacement for glass neon, easy to use, long lasting & durable. Suitable for many projects and installations including indoor, outdoor, signage & architectural. The color jacket ensures that colors are visible in direct sunlight. Standard colors: 2100K Golden White, 2700K Warm White, 4000K Cool White, Red, Green, Blue, Yellow, Orange, and RGB. Solaris Mozart LR The perfect pixel, now in linear! Use with the horizontal and vertical joining adapters to make all of your design dreams. The creative pixel-mapping fixtures from Solaris are available in four versions! Original Mozart, Mozart Linear, Mozart FLR, and Mozart One. To be introduced in 2019 is the ProPlex IQ, IQ Two 88. It is an 8 Way Bidirectional Ethernet-DMX node. 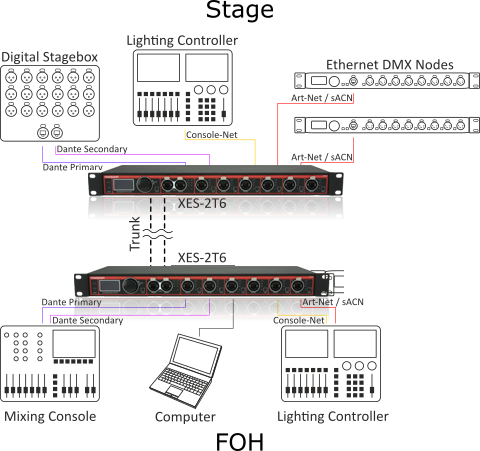 It can convert, assign, merge, and distribute up to 8 ArtNet/sACN universes to or from 8 DMX ports. 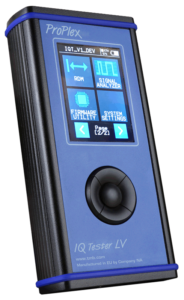 The ProPlex IQ Tester LV was the 2018 LDI Debuting Product Award Winner and is the FIRST Ethernet tester designed for entertainment production! A true All-in-One Device for any Ethernet protocol, it tests and analyzes network data and performance, time-code, PoE, DMX, and RDM. New for Pro Intercom this year is the handy AD903 wireless interface adapter that they are partnered with Listen technologies to create. 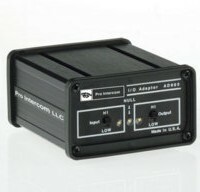 The adapter hooks into one transceiver and the power supply on the intercom system to make a wireless system. 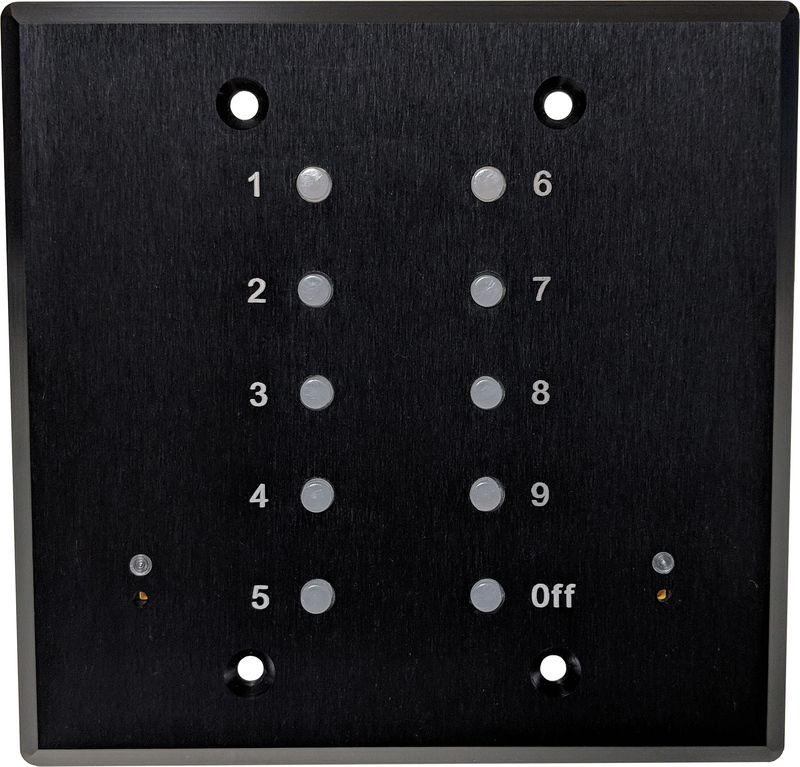 The AD903 has many functions for getting various levels of audio into an intercom circuit, or getting the intercom audio “traffic’ out to an amplifier or recorder. It is also useful as a 2-to-4 wire adaptor for connecting 4-wire communications into and out of a standard intercom circuit. Dazian’s new product, Stretch Shapes which are constructed from IFR Trapeze® Plus fabric and can be reused with no puckering or bagging. They are machine washable, fade resistant, durable and easy to install. 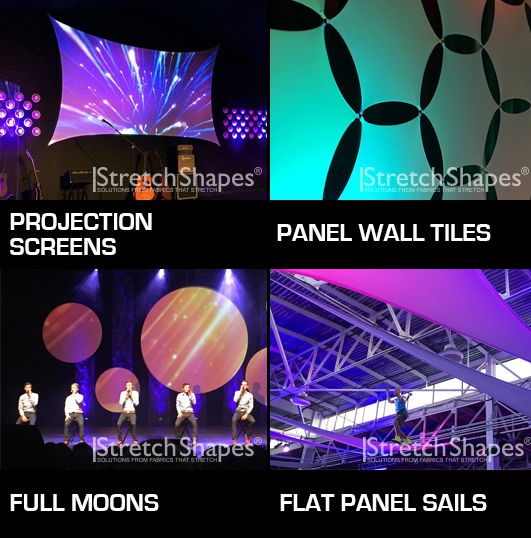 Ideal for Theatrical, Event, Retail and Commercial environments. ARRI has introduced their new lighting control app called Stellar. It is compatible with L-Series and SkyPanel fixtures and connects wirelessly through SkyLink. The user interface is intuitive and easy to use. 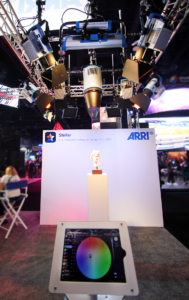 The app uses RDM to automatically discover and address ARRI fixtures. You can import a light plot diagram, group fixtures, and store scenes. The app is $99.99 yearly and works with iPhones (5.5” and up) and IPads (9.7” and up) and IOS 11 and up. 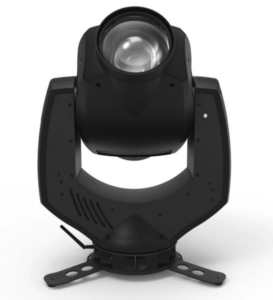 Lightronics was back at LDI and debuted three new fixtures. 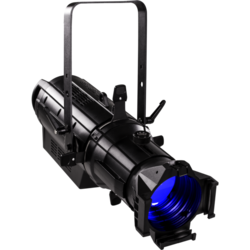 The FXLE17C4N RGBW Ellipsoidal Lighting Fixture is available In 19, 26, and 36 degree beam spreads (no 50) and has a 170w 4 in 1 Quad-Color RGBW, CREE array and the white is tuned to 6000K. The housing is high impact plastic and at 14.2 lbs, it is a fairly lightweight LED ellipsoidal. The fixture is compatible with lens tubes from “other manufacturers”. The FXLE2032W 200 Watt warm white LED ellipsoidal lighting fixture is available In 19, 26, 36 and 50 degree beam spreads and has a COB 200w Warm White LED engine. Like other FXL fixtures, the housing is high impact plastic and is also 14.2 lbs. The fixture is compatible with lens tubes from “other manufacturers”. Both the above fixtures are only available in 3 pin DMX in/out. 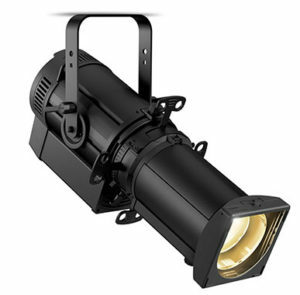 The last fixture in the FXL line is the FXLF2032W1555 LED Fresnel. 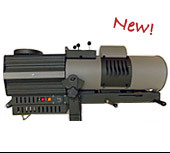 This LED Fresnel features a 15°-55° motorized zoom. It has 1- COB 200w, 3000-3200k LED. It is available in 3 pin or 5 pin dmx. Baxter Controls, the creator of the Pocket Console, rolls out the new Best Boy 2. The Best Boy 2 that has all the same features of the Best Boy but is lighter, waterproof, and is $200 less than the original Best Boy. The BB2 is similar to the Best Boy in that it has the Pocket Console enclosed in the plastic carrier. The box has been redesigned to allow the 9V battery to be accessed without needing to open the Pocket Console enclosure. The case also holds the power adapter to allow the console to be powered via 120VAC power. 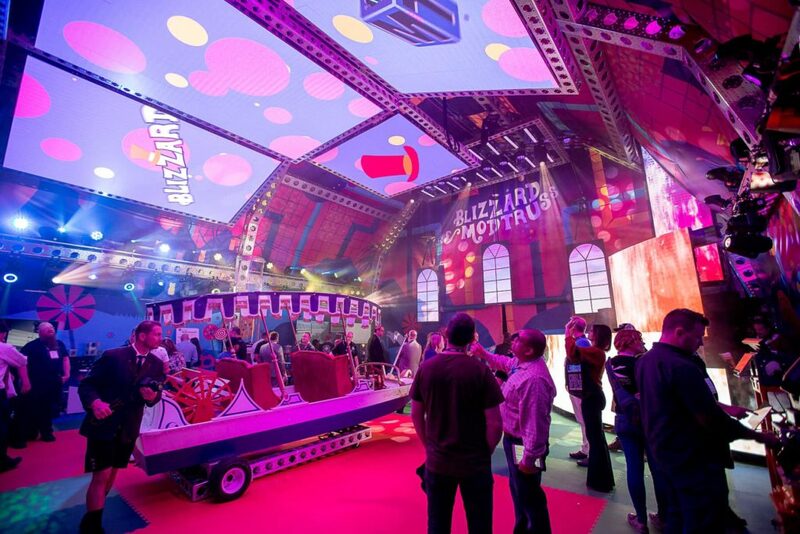 Blizzard rolled out four new fixtures in their Willy Wonka-themed booth at LDI. The Super G 150 is a 150W 7500K color temp main beam with a 12deg projection angle. It has a 7 color + white color wheel, 1 static gobo wheel w/ 7 gobos, 1 rotating gobo wheel with space for 6 gobos, 3 facet prism, and can operate in auto and sound activated modes. Blizzard also introduced the Red Stone line of fixtures. 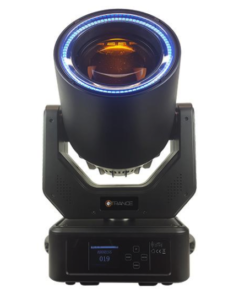 The 440 Profile is a framing CMY moving head with a 440W 7500K cool white LED engine, full CMY color mixing, and a linear CTO color correction. There is also a 7 color + open color wheel w/ half colors7 glass gobo + open. For accurate beam control, there are 8 blade framing shutters, Iris and for effects, there is a rotating prism plus frost filter. To cut down on wires the 440 has built-in Wireless DMX , and wired DMX, RDM, Art-NET. There was also the 240WZ Wash moving head with RGBW LEDs, a zoom range of 5deg – 70deg, rotating prism beam effects, and 5 dimming modes w/ 4 dimming curves. 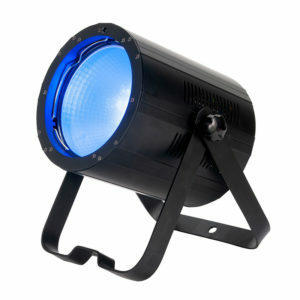 Like the other Red Stone fixtures, it has wireless DMX and wired DMX, RDM, Art-NET. 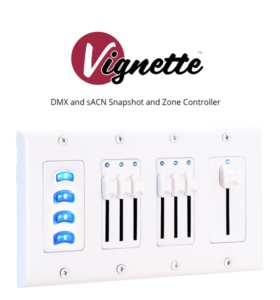 Acquity’s Pathway Connectivity has expanded the Vignette architectural controller series. 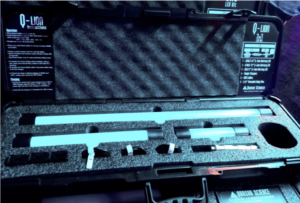 They’ve added a three-slider station to their modular options, and it has the same functionality, fits into a single gang box. They offer the Vignette Clock for time based functions and Astrologic adjustments for sun up sunset – DIN Rail Mount – POE powered or external 24-48VDC – Configure with Pathscape. Their VIA 16 is a larger version of their VIA-5 that has been on the market. It is a 16 port manageable switch Mounts on DIN Rail. 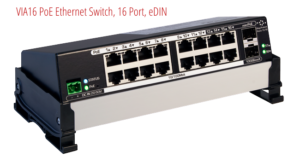 It requires external DC voltage [20-50VDC] and provides 12 POE ports and 4 non-POE ports [10/100Mbit] 15W per port plus 2 sled slots for SFP Fiber modules [1000base LX or 1000Base SW]. Settable properties include Switch Name, Port Name, IP Address, Subnet Mask, Default Gateway, VLAN configuration, Link speed, POE allocation, DHCP pool, IGMP filtering. Keep an eye out for a VIA-8 in 2019 if you have smaller installations as we’re told that’s in the pipeline.